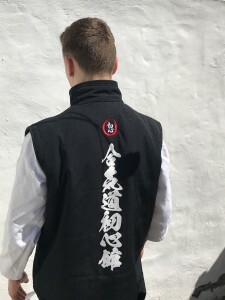 Made from a high quality material this is the first Aikido Shoshinkan brand Gilet. 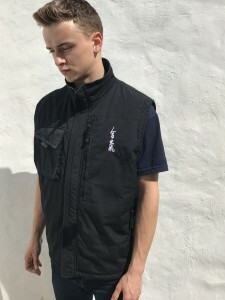 The Gilet is a waterproof Gilet comes in black only With a caligraphy print and our club “Shoshin” (means : Beginners Mind) logo embroided under the collar. 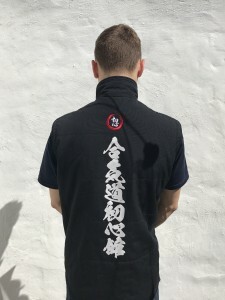 On the front it has our Aikido Shudokan organisation “Aiki” logo embroided at the front. Perfect for wearing over normal clothes and over your dogi as well. 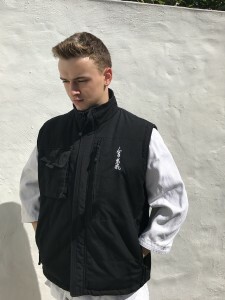 Multiple pockets around the gilet to keep all of your essential items.